Becoming a member of the EU has had its price for some states because the cost of living for many member nations has risen immensely in the last decade. Portugal, however, compared to other EU countries, still has a low standard of living. Property and rent outside major cities and tourist resorts are reasonably affordable. Furthermore, fresh food, alcohol, dining out and general entertainment are more economical than in northern European countries. The downside is the high price of quality clothes, cars, and consumer goods. The average cost of living depends entirely on an individual's preference and lifestyle. 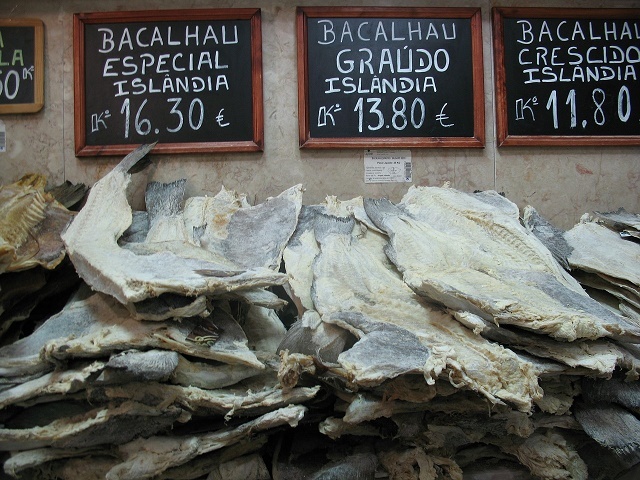 The food price in Portugal is the same as in the USA, slightly cheaper than in most northern European countries, but with its local laidback lifestyle, things tend to be low-cost. Many can attest that for as little as €1,000 per month, a couple can live a modest lifestyle, and many pensioners live on even less. A dinner out for two can cost you €42 budget while a fast food lunch meal costs € 5.00-6.00. A liter of milk costs a mere 1$ (€0.70), cheese €2.75, a dozen of fresh, large eggs €0.90, a loaf of white bread costs €0.55 while a brown loaf is €0.70. If your staple food is rice, a kilo of long grain costs €1.40, and for pasta lovers, 1 kilo of spaghetti costs €1. Basic ingredients per kilo such as potatoes cost €1.50, onions €0.95, tomatoes €0.85 and lettuce €0.70. Meats like 1 kg of sausage cost €2.50 while a fresh whole chicken is €2. A 500-gram pack of ground coffee is €2.60, a pack of 25 tea bags is €1.00, a 1-liter of Coca Cola €1.50, a liter of orange juice €0.55 and 1 liter of mineral water will set you back a mere €0.20. Local beer costs only €0.40 while imported brands cost €1. A fine wine has a price tag of around €5. Imported cigarettes cost €2.75 a pack. With the reputation as the place to go during the summer, Portugal is the ideal holiday retreat. A 1-bedroom apartment costs €500-175, a 2-bedroom fetches € 10,960 - 423 and expect to pay € 32,815 - 488 for a 3-bedroom apartment. However, if your budget doesn't stretch to the Algarve, Portugal still possesses picturesque places where you can easily find affordable property. Easy-on-the-pocket properties are located in inland towns and villages and not too far from the beach. Property tax in Portugal is only payable by property owners (not tenants) and is based on the fiscal value (valor tributavel) of a property as shown in the fiscal register (matriz predial). Portugal is real value for money even for tourists, and the spectacular landscape of the country is priceless. Despite steep property prices in some areas, you have struck gold if you own a property, even outside the Algarve region. For an expat, even one on a shoestring budget, there's no reason not to revel in the good life in Portugal; finding a way is easy as a trip to the nearest beach.